Getting a Disney Fix | What's the Point? As most of you know, I went on a glorious vacation to Walt Disney World this past December. It was a fabulous week-long trip during my favorite season, at one of my favorite resorts. One would think that a trip of this caliber would be enough to hold me over for a while. One would be sorely mistaken. 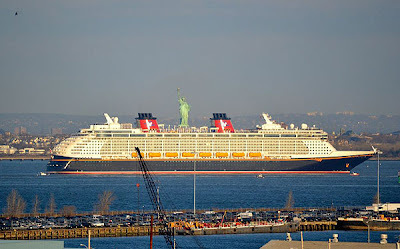 This morning the Disney Fantasy sailed into New York Harbor while I rode the Staten Island Ferry to work. Talk about injustice. Now I am expected to sit at my desk and be productive. But the bottom line is that I will not be able to concentrate without a little Disney fix. There are several options, but all of my favorites involve popping in my headphones. There are several Disney podcasts that I regularly listen to. WDW Radio by Lou Mongello is a fabulous and incredibly professional show that explores all the little details that make Disney so wildly successful. If you are a Disney history buff, then this show is definitely for you. Lou is a terrific guy and he definitely has the pulse of the average Disney fan. Because I am a Disney vacation planning nerd, my true love is the WDW Today podcast. I've been listening to these guys for years and I never get bored with their show! It's truly a unique podcast because of the diversity of the on air talent. They don't always agree, but provide truly intelligent Disney planning information. Most of all, I enjoy the show because they are FUNNY! Sometimes I listen during my commute and laugh out loud. Then I realize that I am probably the only person that would even get the joke because you have to truly be a Disney fan to appreciate it! I also want to congratulate the team over at WDW Today for their 1,000th episode this past week. It is truly a terrific milestone for a great group of Disney fans! Congratulations WDW Today! Can't wait for the next 1,000! Nothing truly transports a person to another place like music. The recognition of just a few notes could trigger a memory locked in your brain for safe keeping. You may not notice it while you are at Walt Disney World, but there is constantly music playing wherever you go. It is intentionally played in certain areas to create atmosphere and contribute to an areas theme. I listen to Sorcerer Radio and Mouse World Radio every day at work. There is nothing that helps me calm down more than good music! Sorcerer Radio features several terrific live shows and discussions. The DJs are wonderful and keep things interesting and fun. Mouse World Radio features a ton of Disney area music and ride music, including rides that are gone but not forgotten. Both stations have a knack of giving me a Wishes or Illuminations fix when I need it the most! The best part about all of these options is that they are absolutely FREE. You can listen to either of the podcasts that I mentioned above by following the links I provided. As for the music stations, you can listen to them both for free on Live365 or on their free iPhone aps. 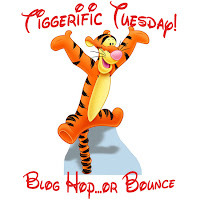 What do you do for a Disney fix? 2 of my favorite podcasts!! Add Wedway for a dose of history and you're set :) I do most of my listening in my car and the radio apps aren't for android, so I can't really do that.. so Podcasting it is! Wedway is terrific too! Thanks for the tip. I would definitely check out the radio stations on your computer when you have free time. I have read about that matter on other blog but not was even like that. :) thanks for this helpful post!